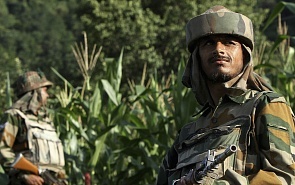 Tension in relations between India and Pakistan has put both states on the verge of a new large-scale armed conflict. Vladimir Sotnikov, President of the Russia-East-West Center for Strategic Studies and Analysis and Director of the Center for Humanitarian and Political Security in Euro-Asia at the Siberian Institute for Euro-Asian Cooperation and Development, speculates on whether India and Pakistan will cross the red lines opening up the way to a war. Tension in India-Pakistan relations has put both states on the verge of a new large-scale armed conflict. The buildup began on February 14, 2019, when a suicide bomber from the Pakistan-based Jaish-e-Mohammad terrorist group attacked some Indian army personnel. India responded with a pinpoint air attack on the group’s base in Pakistan. On February 26, an air battle ensued between Pakistani F-16s and India’s Su-30s, with an Indian aircraft shot down and its pilot taken prisoner. In our opinion, this episode may have the following consequences (scenarios) for South Asia. In response to India’s new attack on its territory (against the Jaish-e-Mohammad and Lashkar-e-Taiba terrorist groups, which carried out terrorist attacks in India in 2001-2002, 2008 and 2016), Islamabad declares a state of martial law in the country and delivers a massed airstrike at India (primarily at Jammu and Kashmir), while moving up land forces, tanks and tactical missiles, including nuclear-tipped, to the 1,600-kilometer border between Pakistan and India. India responds with a naval blockade and mounting strikes at Pakistani territory. Thus, both antagonists actually find themselves involved in a new war. A rapid escalation follows, leading to a new armed conflict, with Islamabad likely to use tactical nuclear weapons against India. After the February 26 events, both antagonists take concrete steps to de-escalate a likely escalation. Succumbing to US pressure, Pakistan handed over the imprisoned Indian pilot, something that has reduced the danger of the Indian-Pakistani conflict growing into a new war. Both antagonists (particularly Pakistan) take concrete measures to deal with the crisis and refrain from provoking a new war. Tension is gradually diffused but India reserves the right to deliver a new strike (strikes) at Pakistan. Pakistan, in turn, reserves the right to respond by launching tactical missiles, including those with nuclear warheads, if India delivers a massive strike. Under this scenario, both sides attempt to hold talks (to de-escalate the conflict), being pressurized by the US which acts as a mediator. While insisting on bilateral talks (without intermediaries), India refrains from launching new strikes at Pakistan. Tension is already high between India and Pakistan for some time (a few weeks or months), both sides refrain from steps that could aggravate their relations. The conflict gradually subsides and gets resolved. Nevertheless, this scenario implies that bilateral tension will persist for rather a long time (as was the case in 2001-2002). The state of “neither war, nor détente” is maintained, with neither side (India in the first place) being able to start effective de-escalation talks. If this happens, the US (like in 2001-2002) will do its best to prod both countries towards de-escalation (by organizing shuttle visits to Islamabad and New Delhi). In this situation, Pakistan will be the first to refrain from provoking India. Moreover, Islamabad is likely to briefly arrest the Jaish-e-Mohammad and Lashkar-e-Taiba leaders to demonstrate to India that it does fight terrorists. New Delhi, for its part, will refrain from acting on its Cold Start doctrine authorizing its armed forces to deliver in-depth strikes at Pakistan, something that they did on February 26.